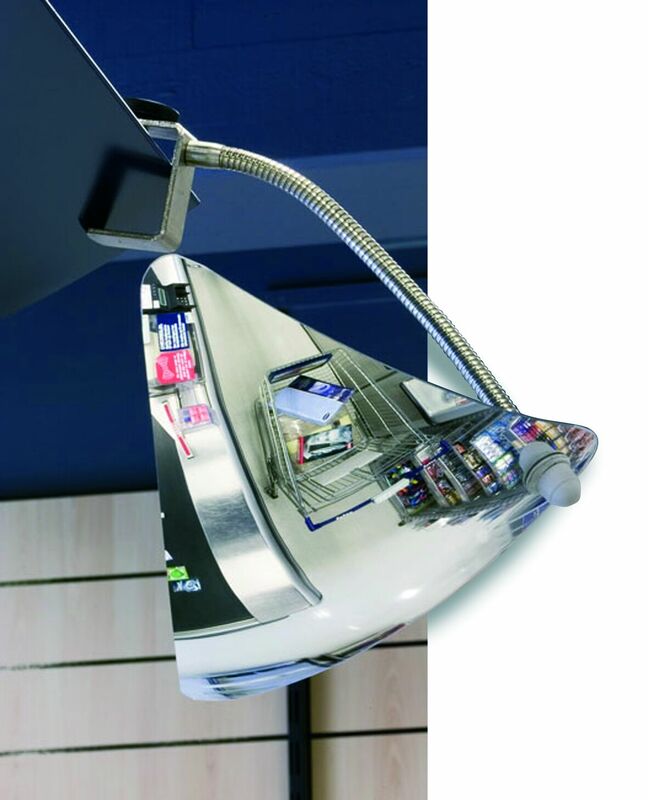 Mirrors " at the checkout"
Main page » Mirrors » Shop mirrors » Mirrors " at the checkout"
The cash at the checkout are ideal for monitoring checkout areas and narrow aisles. They give the employee a quick and discreet overview. The mirrors are also TÜV certified. The cash desks are made of impact-resistant acrylic (70% stronger than glass). 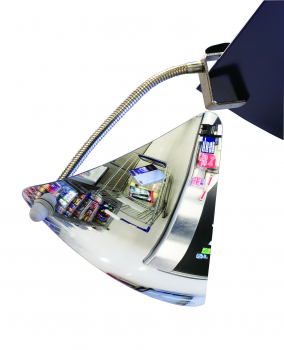 The included gooseneck screw clamp mount allows flexible and easy attachment.